Got used to Google Shortcuts – get used to Kayako Shortcuts now! 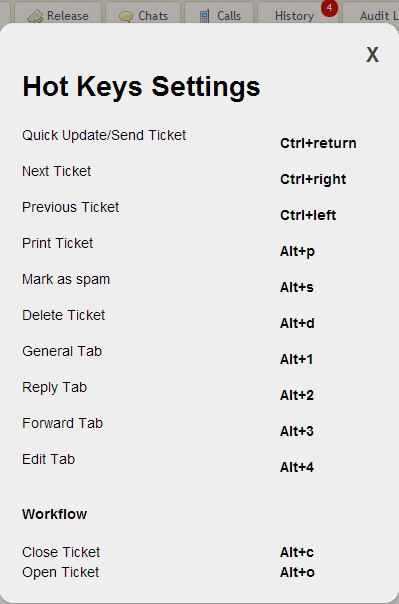 The HotKeys/Shortcuts module allows you to apply shortcut commands to the set of operations for ticket processing and ticket listing screen. Specify shortcuts for the actions provided as per your individual preferences and enjoy your workflow speed. The extension includes predefined actions like ‘Send Ticket’, and auto-completing workflow ones as well. 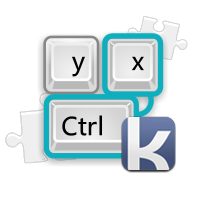 All you need is to create a workflow action and to apply a shortcut command to it. You may find it very useful. We are constantly adding new features to the extention. The ‘Shift+?‘ short cut is designed to provide you with all Hot Keys combinations reminder.